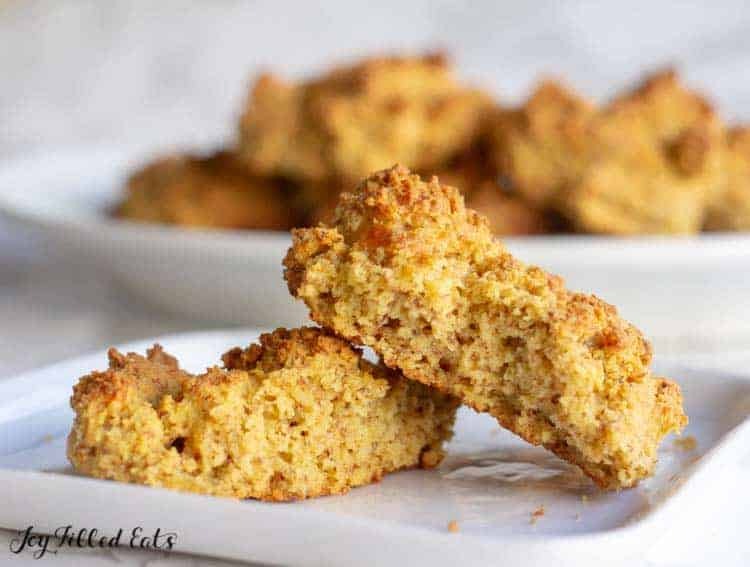 My simple Pumpkin Biscuits are moist and tender with just a hint of pumpkin balanced with fragrant fresh rosemary. They are a delicious healthy accompaniment to a bowl of soup, salad, or to a harvest feast. The best part is they mix up in 5 minutes and are on the table in 30! 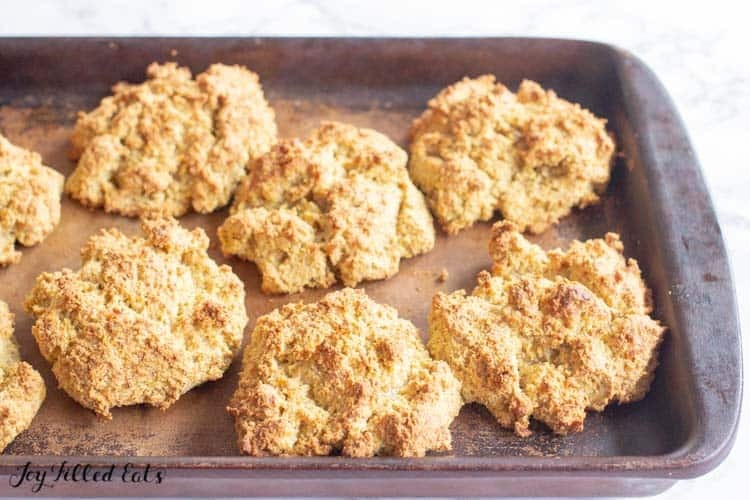 When you try this Pumpkin Drop Biscuit Recipe you’ll savor every bite, I promise! When I decided to make the last week of September Pumpkin Week and post 5 new pumpkin recipes I knew I wanted a combination of both sweet and savory pumpkin recipes. Pumpkin tends to be used more in sweet recipes like pumpkin pie and pumpkin bread but on its own, it can go either way. Thinking ahead to Thanksgiving I thought a pumpkin biscuit with a fresh herb would be perfect. I love when I’m right. I’m right a lot when it comes to cooking and baking, and not right as much in all other things. If you don’t believe me, I’m sure my husband would verify that. 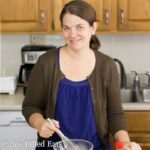 I used my Low Carb Herb Biscuits as a base for this easy drop biscuit recipe. I simply substituted pumpkin for the sour cream, rosemary for the garlic and herbes de Provence, and left off the herb butter. That recipe is an excellent base for any flavor biscuits you like. As long as you keep the quantities of flour, wet ingredients, and binding agents the same you can add in any flavors. I bet cheddar and garlic would be amazing or throw in some jalapenos for a little kick. 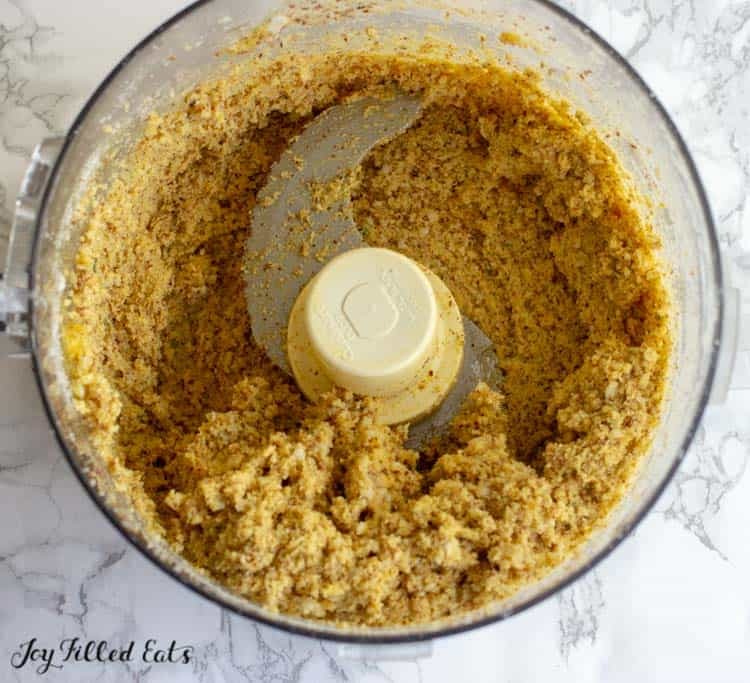 almond flour – I’ve really come to prefer almond flour in baked goods. 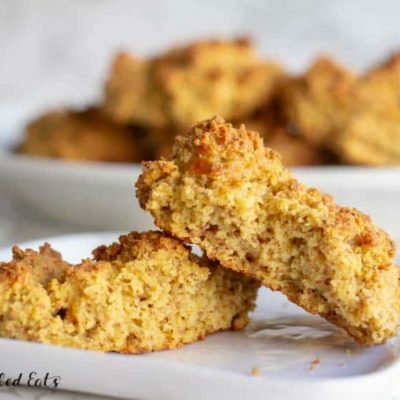 It gives a tender crumb in cakes, cookies, and biscuits. I used unbleached almond flour in these biscuits which looks like almond meal but is finely ground like almond flour. The tiny bits of skin give it a more rustic look that goes well with savory applications. Any almond flour will work, you don’t need to use the unbleached variety. pumpkin puree – this recipes namesake. 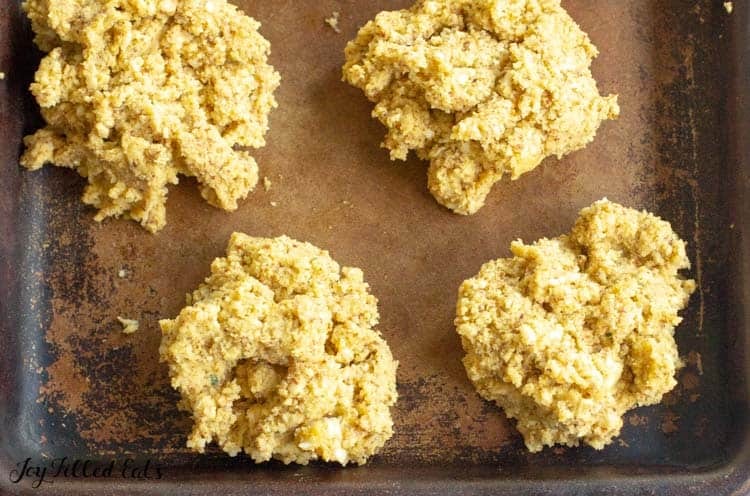 Only using 1/4 cup gives these biscuits a lovely hint of pumpkin without being overpowering. butter – full of flavor and moisture. There was no doubt I’d make my biscuit recipe with butter. fresh rosemary – a little bit of rosemary goes a long way too. It pairs nicely with pumpkin in savory applications as does sage and thyme. You may substitute one of those herbs if you prefer. Sage is especially nice at Thanksgiving since it goes very well with turkey. I keep my biscuit recipe easy. All I do is give the ingredients a whirl in the food processor for these homemade drop biscuits and the dough is done. After that, I scoop onto a baking sheet and bake them. 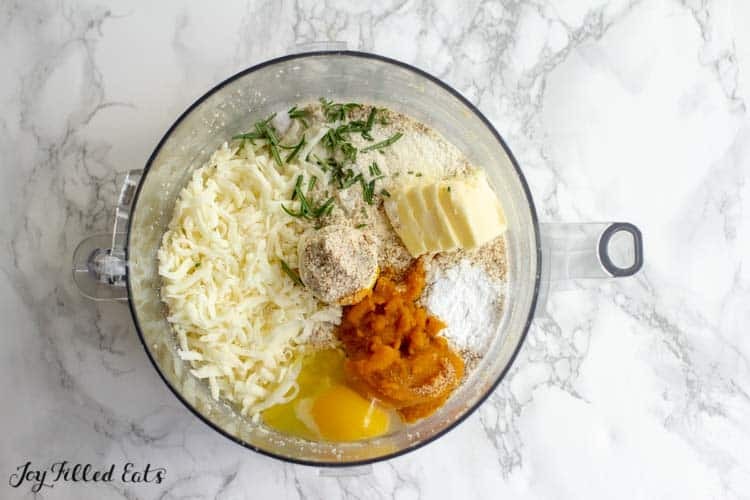 By using ingredients many people eating low carb, THM, or gluten-free keep on hand this recipe is a snap. It’s fast enough for weeknights but delicious enough for special occasions. When making biscuits you don’t really want the tops to be smooth. All those nooks and crannies give the outside texture as they brown. I prefer my drop biscuits with lots of bumps that get extra golden brown. 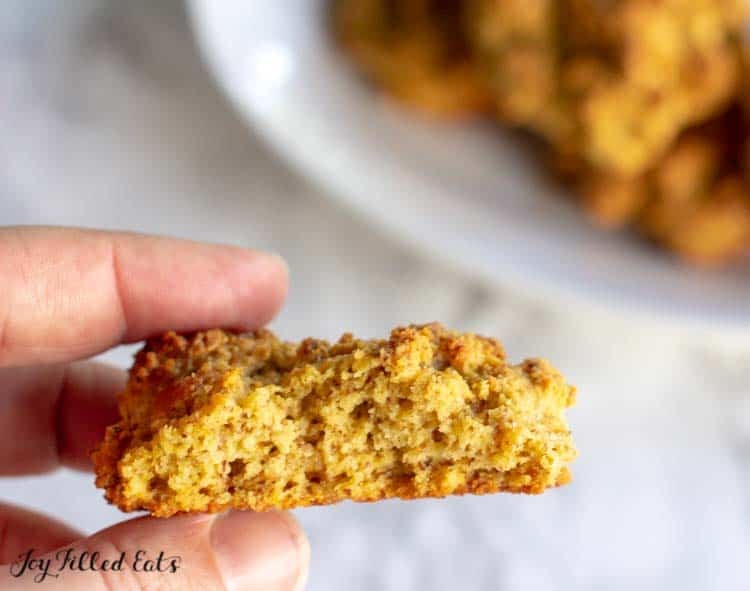 My simple Pumpkin Biscuits are moist with a hint of pumpkin balanced with fragrant fresh rosemary. They mix up in 5 minutes and are on the table in 30! Combine all the batter ingredients and mix until smooth. Put scoops of dough on a baking sheet.